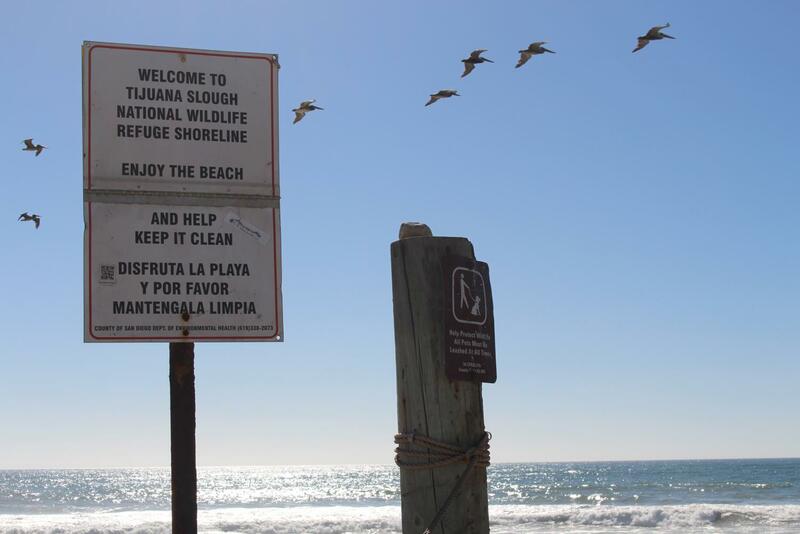 Signs encourage beachgoers to ironically keep the beaches clean and to protect the wildlife it holds. There was no sight of anyone on the beach for a good distance. Unwanted sewage from Tijuana, Mexico, is rapidly filling San Diego’s pristine sector of the Pacific Ocean. This issue is nothing new to California and our state’s relations with the bordering country of Mexico. The seriousness of these effects are causing some lawmakers and officials to propose for change. Pollution from beyond the border of Mexico contaminating Southern California waters can be traced back to as early as the 1930s. However, as of late, the consequences are now starting to pile up on our shores, such as animal carcasses on our beaches here in San Diego. Just over one year ago marks the point in time where 230 million gallons of sewage rushed into the ocean without containment. This, at the time, was hardly a national security. 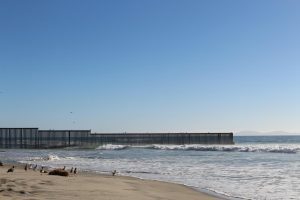 The U.S. / Mexico border stretches out into the ocean to restrict people from crossing, however, it serves no purpose when it comes to blocking polluted waters. Attorney General Xavier Becerra is the man of the hour. He is the sole representative of the California population that is powering his way through government officials. On Tuesday, Sept. 4, Becerra initiated a lawsuit suing the federal government for overlooking the urgency of this particular foreign relation. One thing to note is that Becerra is suing the federal government for what the Republic of Mexico is enabling (mass sewage unloading). It is up to the President and his cabinet to arrive at a new approach to this now National Security Threat. What’s leaving the public suspicious, is that Xavier Becerra has attempted to sue the Trump administration a number of times and there is confusion on whether he is solely resisting the current administration or if he genuinely wants to get work done on the border. Becerra has become an adversary to the president, however, his intentions seem to be positive. Sage Creek’s very own chemistry teacher Matthew Keyes weighed in on the situation and provided an insight of his experience with subpar water conditions. During our conversation, we had discussed not only the topic at hand but advocacy for change. Being that Keyes is a surfer himself, he brought up the fact that he had once been affected by the downgrading water quality. 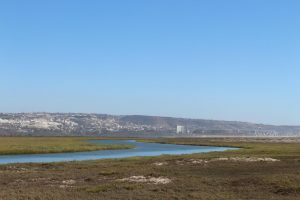 The Tijuana Slough is the closest flowing body of water to the site of the sewage spill. On a weekday at the Imperial Beach Pier (IB), he had paddled out for a dawn patrol session. He quickly realized his eyes started to burn and there was just a bit too much foam on the shore than usual. For this reason, he cut his session short. That was when he knew that this is a problem. It is quite likely this was a direct encounter of what California has been dealing with for 80 some-odd years owing to the fact that IB is the closest strand of shoreline to the Tijuana Slough, the main source of runoff. Southern California must be on high alert. Our community overlooks this issue as if it will not affect us because it is too far south to do anything. Well, the longer we wait, the more sewage is dispersed into our favorite surf spots and fishing locations. San Diego, and especially Carlsbad, is known to be quite the advocate for health and well-being, what makes this any different? We need to pressure our government into more tariffs on mexico until mexico fixes this problem, if we sue then that third world country will claim they don’t have the money to fix the problem, so we should limit trade and their revenue, until they fix this, one of their many problems. Fabulous job Seb! Your articles have impressed me this year, especially with the originality and extensive detail! Also, shout out to Mrs. Kuehl for being the coolest English 3 teacher ever!